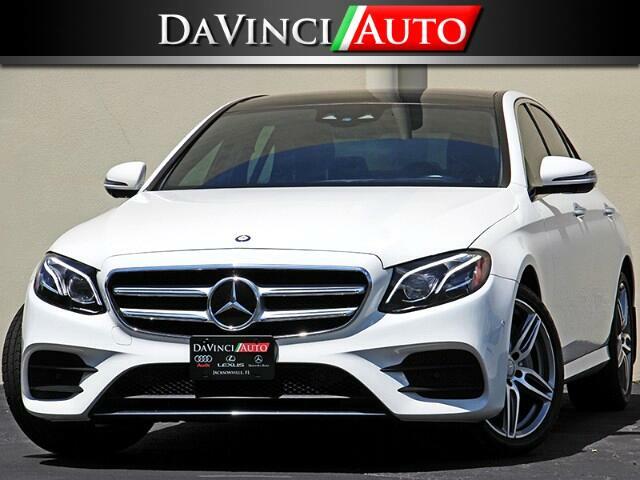 MSRP $71,594 when new!! Fully loaded with Premium 1 Package, Premium 2 Package, Premium 3 Package, Dynamics Heated and Ventilated Front Seats, Sport Wheel Package, 19" AMG® Twin 5-Spoke, 360 Degree Viewing System, Lane Departure Warning System, Active Blind Spot Assist, Adaptive Cruise Control, Panorama Sunroof, Parking Pilot with Rearview Camera, Adaptive Highbeam Assist, Burmester® Surround-Sound System, and more. That's over $17k in options. This car was reacquired by Mercedes-Benz USA because the lane change assist was not working properly. Vehicle has been fully repaired and carries the balance of 48 months or 50,000 factory warranty. Take advantage of this and save thousands from new. Delivery available, Trades Welcome, Courtesy Airport Pickup. Message: Thought you might be interested in this 2017 Mercedes-Benz E-Class.